Can anyone break the Green Wall? This should be a statement that plenty of Gears of War esports fans are familiar with by now—OpTic Gaming have won another Gears Pro Circuit tournament. The Green Wall—Nicholas “Icy” Cope, Gilbert “Xplosive” Rojo, Billy “MentaL” Putnam, Alex “SuMuNs” Ascencion, and Justin “Kenny Bounce” Kenny—stomped Ghost Gaming earlier today to win the Gears Pro Circuit Mexico City Open. After winning the final three events in season one of the Gears Pro Circuit, OpTic began season two with another championship in Dallas last December. Now, the Green Wall kicked off 2018 with their fifth consecutive Gears title. Icy and crew ran through pool play unscathed, and proceeded to beat Fable Esports, eUnited, and Ghost Gaming to reach the grand finals. Ghost then took down eUnited in the losers bracket finals to set up their rematch with the Green Wall. 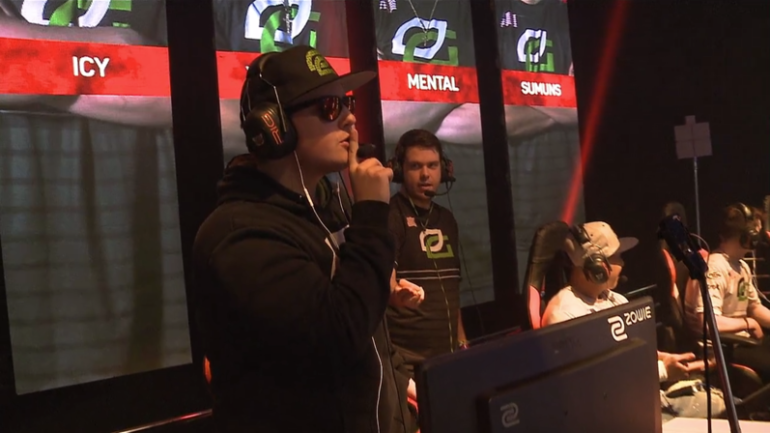 OpTic dominated map one of the grand finals, Dam, 7-2. Ghost Gaming tried to fight back on Foundation, but OpTic earned their championship with a 7-6 victory after some impressive play in round 13. The Green Wall secured $80,000 for their first-place finish in Mexico City, while Ghost Gaming will head home $40,000 richer after coming in second. OpTic will try to record their sixth straight championship at the Gears Pro Circuit Las Vegas Open, which is scheduled to take place from April 6 to 8.